Jet lag is a condition that affects the body when travelling over long distances and crossing several time zones. It is caused when the body struggles to adjust to the new time zone. It can produce a number of distressing symptoms, ranging from sleep disruption and feelings of tiredness to nausea and diarrhoea. The body has an internal biological clock that regulates your daily routine. This is known as the body’s circadian rhythm. The circadian rhythm is sensitive to night and day, regular eating habits, sleep patterns, body temperature, and digestion. When travelling over multiple time zones this natural body clock can be disrupted, leaving the circadian rhythm out of sync and needing to adjust. When the body struggles to adjust, jet lag occurs. being over 60 years of age. It is more common to suffer from jet lag when travelling east opposed to travelling west. When travelling east the body will need to adapt to a shorter day. Travelling west creates a longer day. Most people find it easier to stay awake for a few extra hours to adapt to the longer day than they would having to force themselves to sleep when encountering the shorter day. The severity of the jet lag symptoms will be dependent on the distance travelled and the number of time zones crossed. Most people find that you need to cross at least three time zones before experiencing the symptoms of jet lag. The degree of suffering will vary from person to person with the most common symptoms being sleep disturbance. Sufferers may encounter difficulty adjusting to new time zones. For example, it may be day time in the new time zone but your body clock hasn’t adjusted and feels like it needs to sleep. Alternatively, it may be night time in the new time zone, yet you find yourself feeling wide awake and unable to sleep. Jet lag doesn’t normally require diagnosis by a doctor. It can be self-diagnosed based on the symptoms and your past experiences with long-haul travel. Jet lag is not a serious condition and is normally self-limiting; it will resolve with 2-4 days without intervention. Most people have experienced jet lag at some point in their lives. It can leave you feeling tired, groggy, confused, and lethargic when travelling between time zones. Although it usually resolves after 2 – 4 days, it leaves the potential to ruin the start of a holiday or leave you ineffective on a big business trip. There are several things you can do which will help reduce the effects of jet lag. These range from prescription medicines to simple lifestyle techniques, all designed to help your body’s circadian rhythm adjust to the new time zone. Melatonin is a hormone released by the body to let the brain know it’s time for sleep. The release is triggered by a lack of daylight and is designed to prepare the body for sleep. The body stops producing melatonin when natural daylight returns. The cessation of melatonin release will help the body to wake up. If your circadian (natural) rhythm has been disrupted by jet lag then it can interfere with the normal release of this hormone. Circadin 2mg Tablets are available to buy online from The Independent Pharmacy. Circadin is a prolonged-release tablet containing melatonin that helps to treat the insomnia caused by jet lag. When Circadin is taken correctly it can help adjust the body’s circadian rhythm to that of the new time zone. Usually one Circadin 2mg tablet is taken at night, about an hour before going to bed. It should be used between two to four nights upon arriving in the new time zone. Circadin is only recommended as a suitable treatment should your destination’s time zone be more than three hours different from the UK. Avoid napping when you reach your new destination. It’s important to remain active until you reach the correct time for sleep in your new time zone. Spend time outdoors exposed to natural sunlight. This will help your body adjust to the new time zone. Change your meal times to correspond with your new time zone. Some people find that using the tips above will sufficiently ease jet lag, however others may still require further assistance to overcome the problem. Travellers may be tempted to take traditional sleeping tablets; this is not advisable as often the sleep produced by sleeping tablets is not natural and can have a ‘hangover’ effect in the morning. This can work to worsen the effects of jet lag. Can I prevent Jet Lag? Jet lag isn’t something that can be completely prevented. However, there are steps you can take that will help reduce its effects. These steps can be taken before travelling and during your flight. Changing your sleeping routine a few days before travelling. This will help your body clock to adapt. If travelling west then go to bed an hour later than normal. If travelling east, attempt to go to sleep an hour earlier to your normal bed time. Ensure you get enough sleep before travel. Try to stay calm and relaxed. Reducing stress and staying calm will help reduce the effects of jet lag. Stay hydrated by drinking plenty of fluids. This is important before, during and after the flight. Limit your caffeine intake, especially a few hours before attempting to sleep. Caffeine acts as a stimulant and can hinder sleep. Limit your alcohol intake. Alcohol can both dehydrate you and worsen the symptoms of jet lag. Stay active on long flights. Ensure you take regular walks around the cabin and stretch your arms and legs regularly while you are seated. Adjust your watch to read your destination’s time. This can help trick your brain into adjusting to your new time zone. Attempt to get some sleep if it’s night time in your new time zone. This can be difficult if it’s not your natural time to sleep. Using earplugs and eye masks can help. Form a new routine and try and get used to this as soon as possible, for example eating and sleeping at the normal times of your new time zone. Avoid doing these things as you usually would at home. It is best to avoid napping as soon as you arrive, it is natural to feel tired but try to stay as active as you possibly can until it is around a normal sleeping hour, this way your body should adapt a little faster. One last tip is to try stay outdoors as much as possible, the natural light will aid in your body adjusting to the new routine you're trying to adopt. We experience jet lag when we travel through different time zones on long flights and our body's ‘clock’ can’t keep up with the change in time zones. As our ‘body clock’ is controlled by hormones that are slow to react to changes, a quick change in time zones, such as from a long haul flight, results in you still running at the time of your previous location for a number of days until your body adapts. This can leave you awake at unsociable hours and tired during the day; this can cause problems, especially on business trips. How does Jet Lag affect you? Scientists tell us that jet lag is caused due to disruptions in our body’s circadian rhythms. Circadian rhythms are the physical, mental and behavioural changes we experience during the length of a day (24 hours) as our body reacts to changes in light and darkness in our environment. Circadian rhythms play a very significant role in determining our sleep patterns. When our body’s circadian rhythms are disrupted, we experience various psychological and physiological effects like fatigue, irritability, etc. Jet lag is caused by your body struggling to reset its ‘clock’, know as the circadian rhythm. Travelling quickly across time zones means that your body struggles to adapt to the new hours of light and dark, leaving the hormones that control your circadian rhythm out of sync. This can be particularly problematic when flying East as this means you must adapt to a shorter day, something your body finds particularly hard. Common symptoms of jet lag may include trouble falling asleep, early waking up, interrupted sleep, headaches, fatigue, trouble in passing bowel movements and reduced appetite. Do you always experience the same amount of Jet Lag? We don’t always experience the same amount of jet lag. Jet lag is worse when you are travelling from West to East than East to West. According to studies, when you fly east, the time it takes for you to recover from jet lag (in days) is roughly two-thirds of the number of time zones you cross. If you cross six time zones, you should take 4 days to recover from jet lag. However, if you are flying west, the time taken to recover from jet lag (in days) is half the number of time zones you cross, which means that if you are crossing six time zones, you will recover in 3 days. What is Melatonin and how does it help reduce Jet Lag? Melatonin is a hormone that plays a significant role in regulating bodily rhythms and is used as a drug to realign people with the difference in time zones. 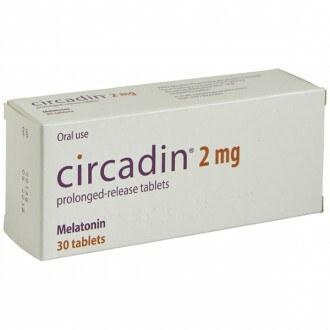 Melatonin (Circadin) is available from The Independent Pharmacy to fight the symptoms of jet lag and allow your body to adjust to external time. Taking melatonin close to the target bedtime at your destination (10pm to midnight), decreases jet lag. Melatonin is recommended for short term use if you are travelling across multiple time zones. It is advisable to take melatonin after dark on the day you travel and at the same time for a few days after arriving at your destination if you are travelling westward. If you are travelling eastward, it is recommended that you take melatonin in the evening for a few days before flying out. The time at which you take melatonin every day has to be consistent because any delay can cause disruptions in how quickly your circadian rhythms adjust with and adapt to external time. Melatonin’s side effects for long-term use have not been established yet. If you are on blood-thinning medication, you should seek medical advice before taking melatonin. Can I treat Jet Lag with sleeping pills or alcohol? Neither of these approaches are recommended. Both sleeping pills and alcohol tend to 'knock you out'. They don't produce a natural sleep and therefore will not help to change your body's natural (circadian) rhythm. They also tend to add to the 'hangover' you already feel from changing time zones and being out of sync.